There’s a purity and elegance to white on white shots like this that really appeals to me. Some of my favorite assignments over the years have this clean, uncluttered essence that puts all the emphasis on the immediate subject….no distractions. 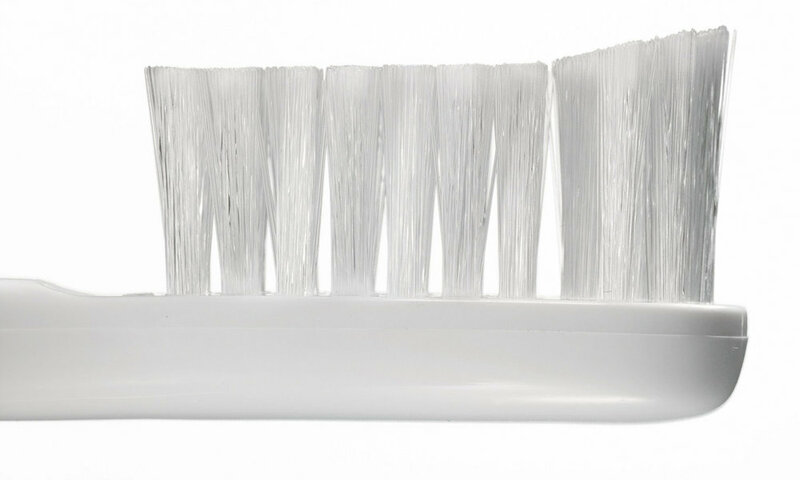 I did this project with Charlie Cunningham at Arnold Worldwide for Oral B to illustrate the softness of their bristles. Bluescreen for silo’ing the bristles. Silo’d with no retouching yet. I wasn’t completely satisfied with the handle in the shot, so I made a model of it in Cinema 4D, my favorite 3-D program, and rendered it to look the way I wanted. Then, everything was combined, with a fair amount of retouching. I raised the curve of her hip, replaced her hand with one from another shot, touched up her skin, made her hair neater, and cleaned up the bristles quite a bit. 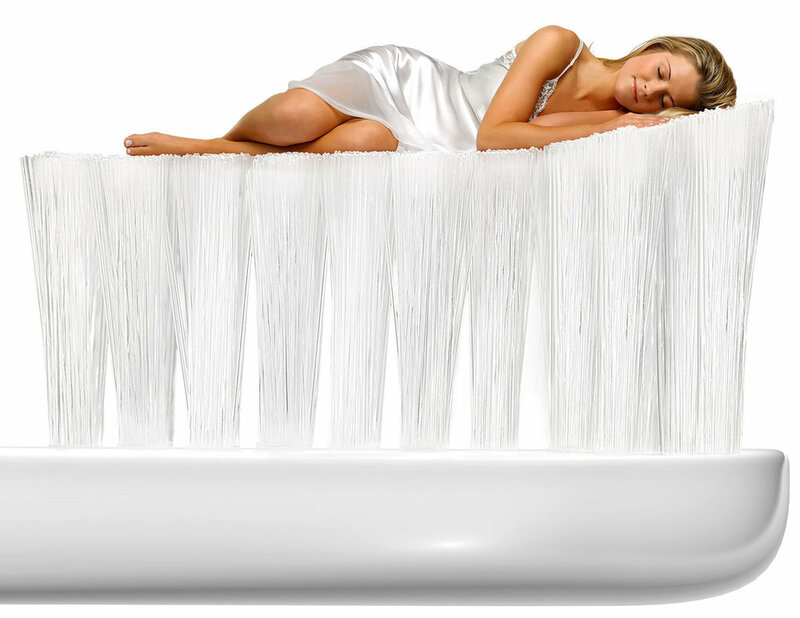 And we sunk her down into the bristles. It’s hard to make it out, but it was just another little touch of reality to make it more believable. And we end up with a beautiful, clean image that looks like nothing extraordinary was done.